Gupta is a computer science graduate from Delhi College of Engineering, who also holds an MBA degree from Carnegie Mellon University. She was working as head consultant with Opera Solutions, a New York-based analytics company before she moved to India where she observed that the e-commerce segment will soon be a booming sector. She analysed the western market model and thought of building a one-stop solution for all business needs. She and her brother, Rahul Gupta, launched Industrybuying in 2013, an online marketplace for industrial supplies. The company, which is based out of Gurgaon, sells a wide range of business and industrial products to SMEs, as well as large businesses. However, their rise was not easy. After initially struggling, the company raised $2 million from SAIF Partners in February 2015. 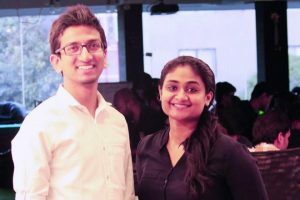 They raised Rs 12 crore in another round of funding from Trifecta Capital in January 2016. It is also funded by Kalaari Capital, the TVS Group and the Murugappa Group. Today, the platform claims to have 5,000 sellers. The customer base increased to 150 enterprises and 75,000 SMEs. 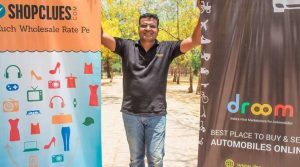 Aggarwal worked with several investments banks in US before returning to India where he pitched the idea of e-commerce portal ShopClues to several investors, but he faced rejection. He soon launched Shopclues.com in June 2011, after having worked for 15 years in four Fortune 500 companies in the US. Aggarwal believes that irrespective of geography, industry or functional area of your work, the feeling of starting a start up from scratch is unbeatable. He later launched Droom, an online marketplace for used automobiles, in 2014. He belives India is going through a ‘renaissance of digital economy revolution’. 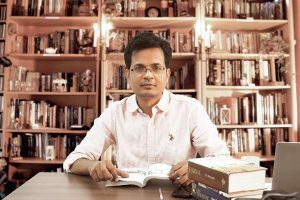 Having completed his graduation from Lucknow University, and his management diploma from IIM-Ahmedabad, Jain worked with Hughes Software and two other companies before launching his own financial consulting firm, Metalogos in 2006. However, it was in 2011 when Jain launched hyperlocal marketplace Zopper, with his friend. The start-up emphasises on the fundamentals of the brand as ‘combining online and local shopping’. The company brings local retailers on board to participate in e-commerce. 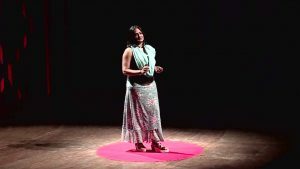 Jain believes entrepreneurs must strive to maintain a fine balance between social responsibility and liberty to fully realize their potential. Mukherjee completed her graduation from Delhi’s St Stephens College before pursuing higher studies at University of Cambridge and London School of Economics. She worked with the prestigious Lehman Brothers, eBay and Skype before founding Limeroad, an online discovery platform for lifestyle products in 2012. Mukherjee describes Limeroad as an ultimate discovery programme, where shoppers discover an endless stream of unique products and looks. Asokan and her husband Anand Chandrasekaran both worked in the US before deciding to return to India in 2013. Together they started Mad Street Den, a Chennai based start-up, that is trying to make retail business more efficient. The start-up’s main product, Vue.ai, offers visual search technology, product recommendations, and personalized home pages, based on the tastes of individual shoppers, among other features. The startup raised $1.5 million from Exfinity Ventures and growX Ventures, in addition to an undisclosed sum from Sequoia Capita. The company is one of the tens of start-ups selling efficiency-improvement tech to retailers. “AI is one of the founding principles of why we started this. The second part of the founding principle is making AI accessible to millions of people across the globe,” says Asokan. An alumnus of Stanford University, Mittal started Finomena along with IIT-Delhi alumnus Abhishek Garg in October 2015. The start up works on a unique concept. It uses algorithm to assess the credit-worthiness of young working professionals, who would be denied loans from NBFCs and bank. Mittal was in the Holo Lens team of Microsoft in Washington, before she moved India. 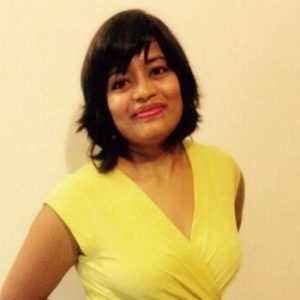 She founded Citizens Disaster Response Force in 2014, a web platform to help families find and locate loved ones by enabling families to post missing person reports, and enabling rescuers to post found person reports. 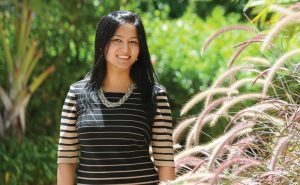 After completing her B Tech and M Tech from IIT Bombay, Neha did her MBA from Stanford Graduate School of Business. 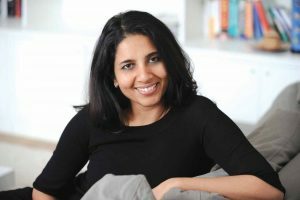 She later joined Boston Consulting Group and subsequently worked with Sequoia Capital, before launching her own startup with Abhishek Goyal in June 2013. Tracxn helps VCs and investors identify potential areas of investment through intelligence and research. One of its investors is Ratan Tata. It provides actionable intelligence on start-ups to venture funds, corporates as well as other investors.